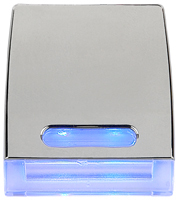 The DLS QK HE Marine Lighting series is a range of high-quality products specially made for the marine environment. Our principle dedication has been the creation of LED light fixtures with solutions that perfectly integrate or replace traditional light sources. The DLS QK IA Marine Lighting series is a range of high-quality products specially made for the marine environment. Our principle dedication has been the creation of LED light fixtures with solutions that perfectly integrate or replace traditional light sources. 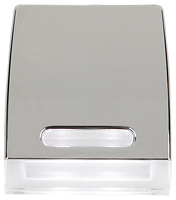 The DLS 5666 SERIES is a modified square-shaped surface-mount LED courtesy light. 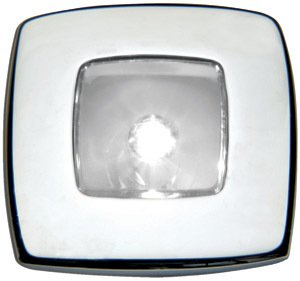 The tiny SMD LEDs allow for its low profile design and are combined with a special lens to give a "wall washer" effect. 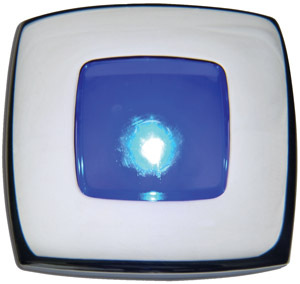 This prevents any disturbing glare or LED "hot spot." Completely water-proof and sealed. Made in Italy. 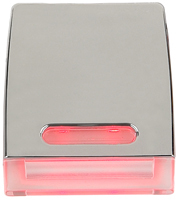 This low-profile courtesy light offers a single 5mm LED and is ideal for exterior use with its "splash proof" rating. 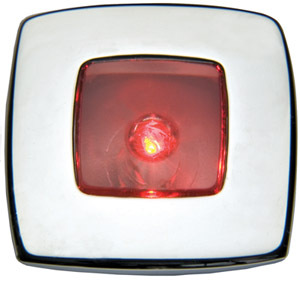 LED colors come in cool white, red or blue. Made in Italy.